Best wishes to all for a very happy and healthy 2018! On Friday evenings the TCM Spotlight is on survival movies. This month's Noir Alley titles are RED LIGHT (1949) with George Raft and Virginia Mayo on the 7th; Robert Mitchum and Faith Domergue in WHERE DANGER LIVES (1950) on the 14th; Robert Ryan, Van Heflin, and Janet Leigh in ACT OF VIOLENCE (1948) on the 21st, and the terrific TOMORROW IS ANOTHER DAY (1951) on the 28th, starring Steve Cochran and Ruth Roman. Here are some of the notable titles from TCM's January schedule. Click any hyperlinked title for my in-depth review. 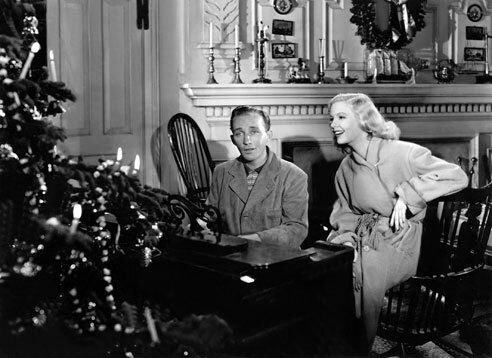 ...Viewers can "Start the New Year Right" with Irving Berlin's HOLIDAY INN (1942) early on on New Year's Day. The day continues with a number of good comedies and suspense films, with the two genres melding in CHARADE (1963) with Cary Grant and Audrey Hepburn. ...A day of sci-fi films on January 3rd features THE THING FROM ANOTHER WORLD (1951), a movie which is so good I wondered "Where has this been all my life?!" when I first saw it two years ago. Kenneth Tobey and Margaret Sheridan star. Very highly recommended. ...A lineup of interesting films on January 4th includes a favorite Ginger Rogers film, FIFTH AVENUE GIRL (1939), costarring Tim Holt. In addition to the review at the title link, there's a report on seeing it at a UCLA screening here. ...On January 5th a tribute to "B" director Edward Sutherland includes Ronald Reagan in the entertaining NINE LIVES ARE NOT ENOUGH (1941), Alexis Smith and Lloyd Nolan in STEEL AGAINST THE SKY (1941), Jane Wyatt, James Ellison, and Kent Taylor in ARMY SURGEON (1942), and a personal favorite of mine, SECRET COMMAND (1944) with Pat O'Brien, Carole Landis, and Chester Morris. ...Survival films the night of the 5th include Richard Widmark and Jane Greer in a MOST DANGEROUS GAME remake, RUN FOR THE SUN (1956), and Stewart Granger, Wendell Corey, and Cyd Charisse in THE WILD NORTH (1952), about a mountain man who saves the life of the Mountie charged with bringing him in for trial. ...James Stewart and Jeff Chandler are superb in Delmer Daves' BROKEN ARROW (1950) on January 7th. 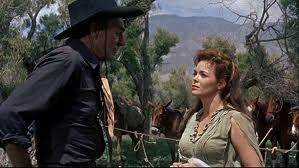 The beautiful Debra Paget costars. ...As a Dennis O'Keefe fan I need to check out BREWSTER'S MILLIONS (1945), airing on January 9th. It costars Helen Walker. 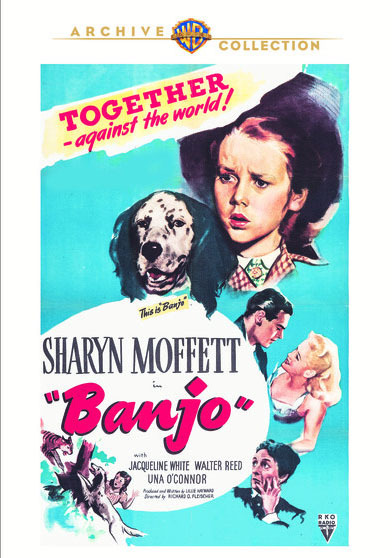 ...A day of animal films on January 11th includes the fine family film BANJO (1947), with an excellent performance by child actress Sharyn Moffett. ...On January 12th there's an especially good survival film, INFERNO (1953), starring Robert Ryan as a wealthy man whose wife (Rhonda Fleming) abandons him in the desert when he breaks his leg. It's tough to watch at times but also quite engrossing, as Ryan's initially unpleasant character gradually wins viewer sympathy due to his determination and hard work. 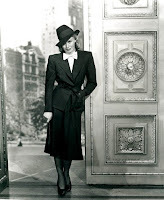 ...A January 14th prime time tribute to Gene Tierney features the unforgettable fantasy THE GHOST AND MRS. MUIR (1947), costarring Rex Harrison, and the comedy RINGS ON HER FINGERS (1942) with Henry Fonda. ...I saw John Ford's January 15th SERGEANT RUTLEDGE (1960) for the first time at this year's Lone Pine Film Festival and really enjoyed it. 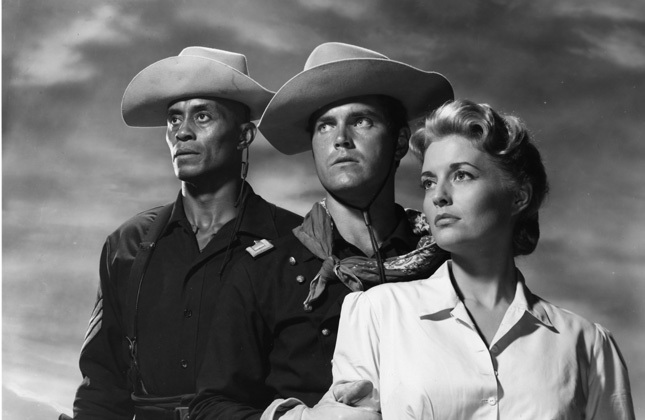 Jeffrey Hunter, Woody Strode, and Constance Towers star. ...William Holden and Coleen Gray star in FATHER IS A BACHELOR (1950) on January 16th. I'd like to take a fresh look at this one; it has a great cast but I don't recall it well from my only viewing about eight years ago. 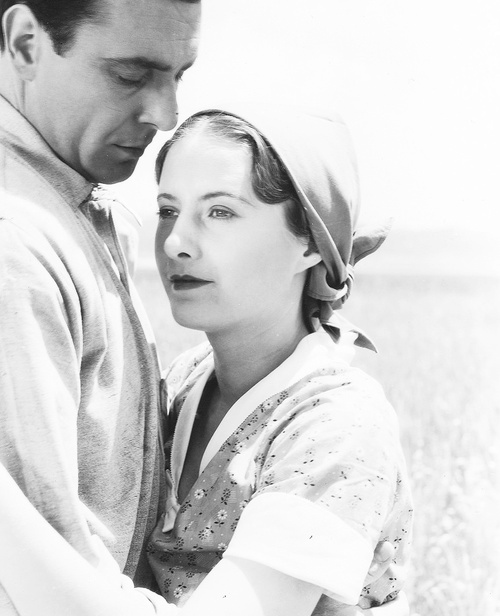 ...January 18th the theme is farmers, including STALLION ROAD (1947), AS THE EARTH TURNS (1934), THE PURCHASE PRICE (1932), THE ROMANCE OF ROSY RIDGE (1947), and I'LL WAIT FOR YOU (1941). That's a slate of very good films well worth the time. 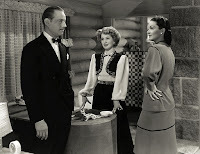 George Brent and Barbara Stanwyck are seen at the left in THE PURCHASE PRICE. ...January 19th features several films starring a young Joel McCrea -- early '30s vintage -- including three titles with Constance Bennett. The romantic comedy THE RICHEST GIRL IN THE WORLD (1934) with Miriam Hopkins is a particular favorite. ...Survival films later on the 19th include the all-time classic RKO "B" film FIVE CAME BACK (1939), starring Chester Morris, Lucille Ball, Wendy Barrie, and Kent Taylor, directed by John Farrow. You won't forget it. 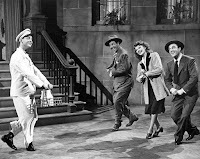 ...There are a number of musicals airing on January 20th, with Gene Kelly and Rita Hayworth in Columbia's COVER GIRL (1944) early in the day and four from MGM later in the day, including the evergreen THE BAND WAGON (1953) starring Fred Astaire and Cyd Charisse. ...SAFE IN HELL (1931) is a bizarre pre-Code directed by William Wellman, starring Dorothy Mackaill. While it's a favorite of many classic film fans, I can't stay I especially enjoyed this film, which I likened to "a nightmare put on film," but it's something classic film fans should probably see at least once. It's shown on the 22nd. 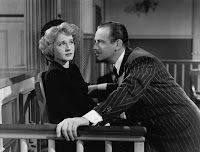 ...For lighter fare, there's a slate of films directed by Ernst Lubitsch on January 24th, including favorites like CLUNY BROWN (1946) and THE SHOP AROUND THE CORNER (1940). 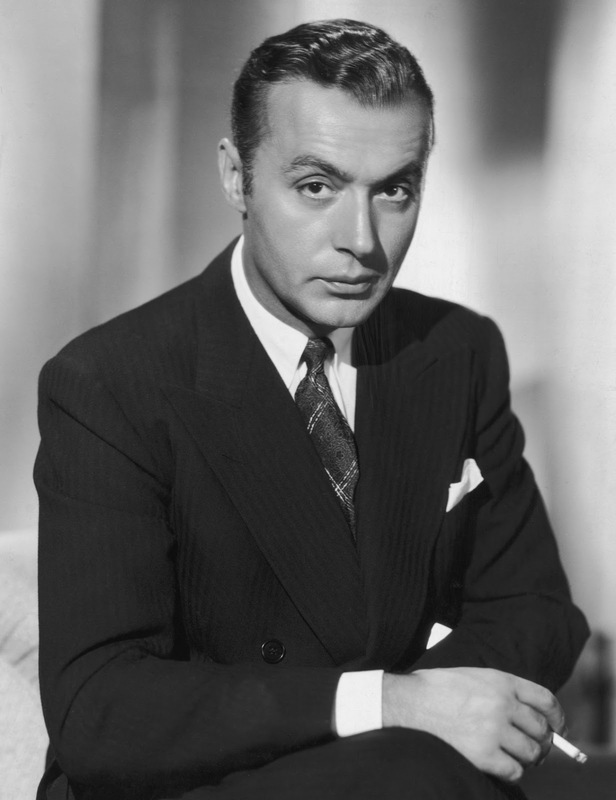 CLUNY BROWN also appears in an evening of Charles Boyer films on the 18th. ...A day of Westerns on January 25th includes the excellent COMANCHE STATION (1960) starring Randolph Scott, Nancy Gates, and Claude Akins, directed by Budd Boetticher. ...On January 27th there's a prime time tribute to Edmond O'Brien showing WHITE HEAT (1949), D.O.A. (1950), and THE WILD BUNCH (1969). I've not seen THE WILD BUNCH but the first two films are must-see classics for anyone who loves O'Brien or crime films. ...A pair of films starring James Stewart and Henry Fonda will be featured the evening of the 28th: THE CHEYENNE SOCIAL CLUB (1970), which I saw at last October's Lone Pine Film Festival, and FIRECREEK (1968). I wouldn't be surprised if Scott Eyman, author of a new book on Fonda and Stewart, appears on TCM that evening. ...A prime time tribute to Claudette Colbert on January 29th includes SKYLARK (1941), IT HAPPENED ONE NIGHT (1934), and TOMORROW IS FOREVER (1946). ...A day of war films on January 30th includes what might be the best war film ever made, John Ford's THEY WERE EXPENDABLE (1945) starring Robert Montgomery and John Wayne. For more information please visit TCM's online schedule. 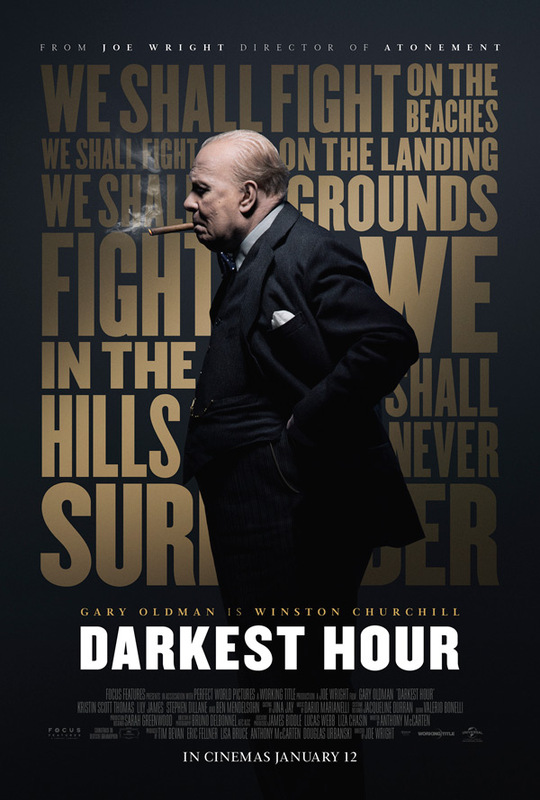 My last new theatrical film of 2017 was DARKEST HOUR (2017) starring Gary Oldman as Winston Churchill. 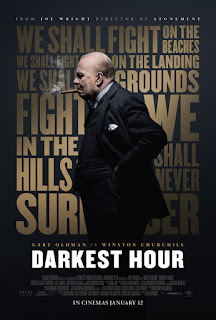 The movie depicts Churchill's election as Prime Minister of Great Britain in the spring of 1940, replacing Neville Chamberlain, and the ensuing crises regarding whether to conduct peace talks with Germany and the near-loss of much of the British Army at Dunkirk. From a cinematic point of view, it's an excellent film which I enjoyed as much as anything I've seen this year. Despite the tense storyline, I found it quite relaxing spending time with this movie, completely absorbed in the characters and situations. I tend to prefer shorter films and was surprised when it was over and I realized it had run over two hours (125 minutes, to be exact). It went quickly and the pace seemed just right. 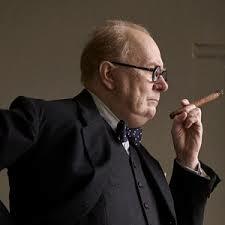 Oldman might not be the late Robert Hardy, considered by many the best screen Churchill -- a role Hardy played at least a dozen times -- but Oldman had me completely sold on his version of the prime minister. 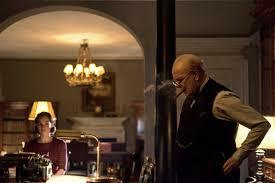 Also excellent were Kristin Scott Thomas as Clementine Churchill and Ronald Pickup as Neville Chamberlain. Lily James, who plays Churchill's secretary Elizabeth Layton, is an appealing actress (CINDERELLA, BABY DRIVER) I look forward to seeing in future films. Her character helps to bring out some of Churchill's less delicate habits and also represents the "ordinary people" who were doing their bit to cope with the war. One of the really interesting things about the film for me was the parallels I saw with modern-day U.S. politics. The establishment types found Churchill completely annoying -- indeed, King George VI (Ben Mendelsohn) confessed Churchill "scared" him -- and they were dismayed by some of his coarse habits (alllll those drinks and cigars! ), his combative spirit, and his refusal to go along to get along, particularly when it came to peace talks. Viewers can draw their own comparisons and conclusions but I was left feeling that in some ways "the more things change, the more they stay the same." There's really nothing new under the sun. One of the best scenes in the film finds the King visiting Churchill and the two men finally coming to a meeting of the minds, with the King pledging to back Churchill all the way. It's a quiet scene of immense power. 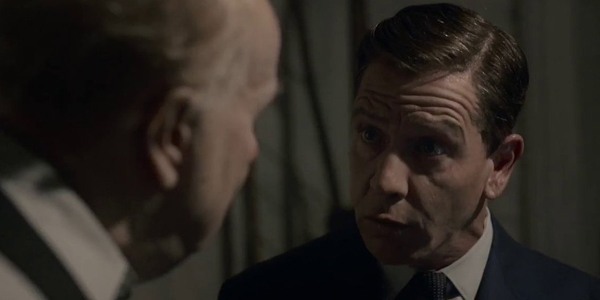 A sequence with Churchill getting the opinions of the "common people" on the Underground was contrived and perhaps the only unbelievable note in the film, but I confess I enjoyed it nonetheless. It's a nice "flag waving" moment, so to speak. I was also struck that although -- with the exception of a single shot of boats -- DARKEST HOUR reduces Dunkirk to pins on a map, it somehow captured more of the scale of the "miracle at Dunkirk" than this year's Christopher Nolan film, or, for that matter, the 1958 version of the event. Perhaps someday there will be a Dunkirk film which manages to depict the enormity of what was accomplished. I saw three new films on World War II this year, the final film of the trio being THEIR FINEST (2017), and DARKEST HOUR was by far the best. I enjoyed the other two films to varying degrees but they had definite weaknesses. DARKEST HOUR was solid all the way. 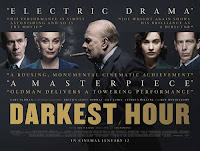 DARKEST HOUR was directed by Joe Wright from a script by Anthony McCarten. It was filmed by Bruno Delbonnel. Parental Advisory: This film is rated PG-13 for "some thematic material." The rating seems like absurd overkill for a film with drinking, smoking, and a single bombing. Whether children under 13 would be interested in the film is another question, but I really don't understand this rating. A trailer is at YouTube. 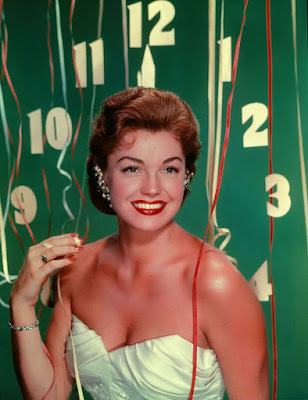 Here's the marvelous Esther Williams to help wish all my readers a very Happy New Year! Best wishes to all for a wonderful 2018! 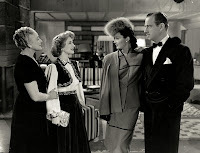 Previous classic film New Year's photos: Joan Leslie, Anita Louise, Dorothy Patrick, Mona Freeman, and Joan Caulfield. I'm back from a whirlwind couple of days attending a wedding in beautiful Santa Barbara! I have several posts planned for the next few days, including my annual big Year in Review on New Year's Day. 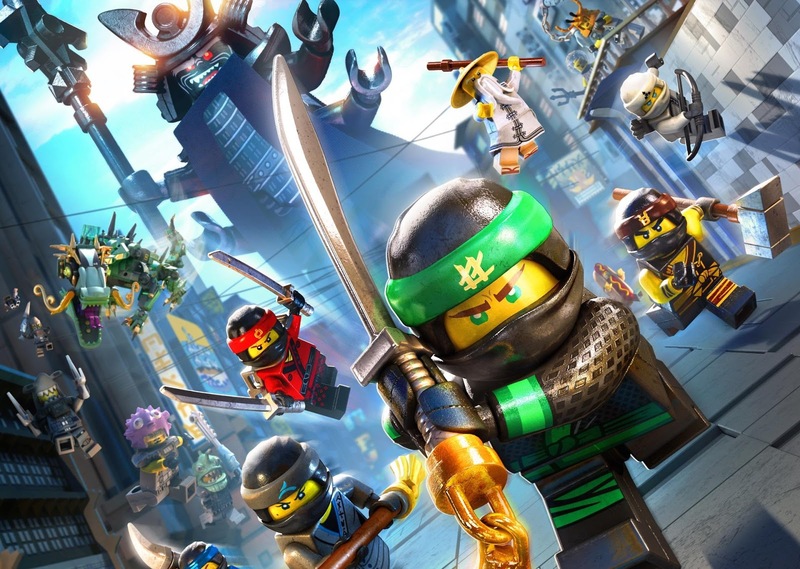 First up, a review of THE LEGO NINJAGO MOVIE (2017). I enjoyed both THE LEGO MOVIE (2014) and THE LEGO BATMAN MOVIE (2017) but didn't have time to catch the latest in the series at a theater last fall, so I caught up with it via Blu-ray a few days ago. 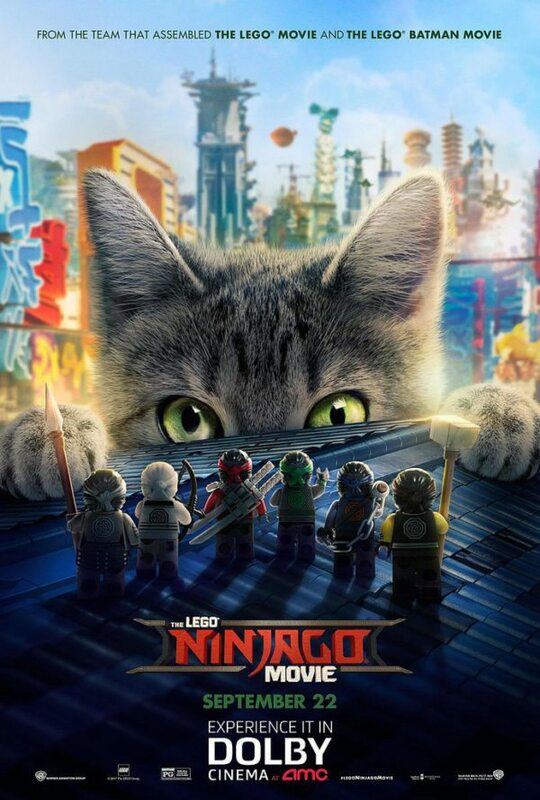 The appeal of the Lego movies is that they're children's movies made for adults. Children will enjoy the films on a more superficial level, taking in the colorful story, but adults will find all sorts of sly, rib-tickling humor and funny bits of business. While THE LEGO NINJAGO MOVIE isn't quite on the same creative level as the first two films, especially the deliciously funny LEGO BATMAN, I nonetheless found it entertaining and worth seeing. 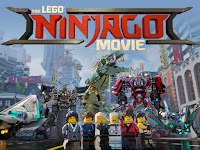 This time around the story focuses on a half-dozen teenage Ninjas who protect their city, Ninjago, from the fearsome Garmadon (Justin Theroux), who regularly shows up from his offshore volcano home to wreak havoc in his ongoing attempts to take over Ninjago. One of the Ninjas, Lloyd (or "L-Lloyd," as Garmadon calls him), voiced by Dave Franco, just happens to be Garmadon's son, who hasn't seen his father in person since he was a baby. Lloyd is shunned by most of his fellow students because his dad's such an awful guy. Only his Ninja pals know that Lloyd regularly helps save the city from his old man. Jackie Chan has nice bits as a shopkeeper in live-action scenes bookending the film, and he also voices Master Wu. The incorporation of a live-action cat, as a sort of Godzilla wreaking havoc with the Lego world, didn't work as successfully for me. Robin Roberts and Michael Strahan are amusing voicing their animated TV broadcaster counterparts, smiles in their voices no matter how dire the Garmadon news. Kumail Nanjiani, Michael Pena, Olivia Munn, Constance Wu, and Zach Woods are among the rest of the voice cast. 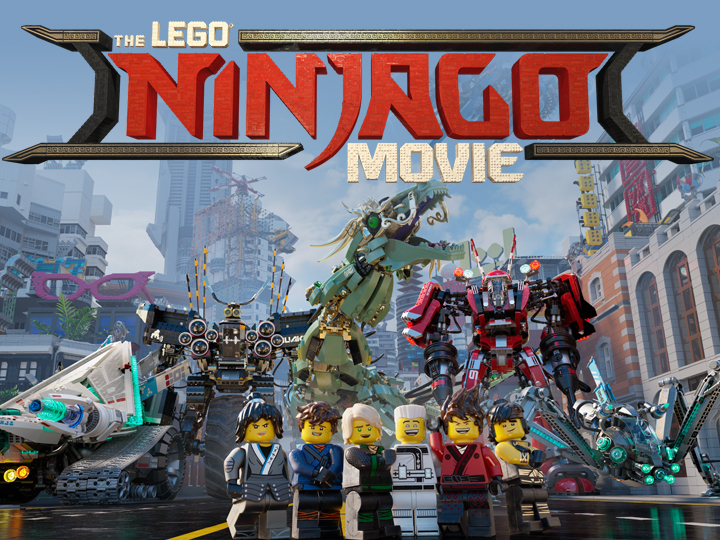 THE LEGO NINJAGO MOVIE was directed by Charlie Bean, Paul Fisher, and Bob Logan. It runs a just-slightly-too-long hour and 41 minutes. Parental Advisory: THE LEGO NINJAGO MOVIE is rated PG. Unless I'm forgetting something, it's pretty mild and family friendly. In addition to the Blu-ray/DVD combo pack linked above, this film is also available as a stand-alone DVD. A superior cast enlivens WE WERE DANCING (1942), available on DVD from the Warner Archive. 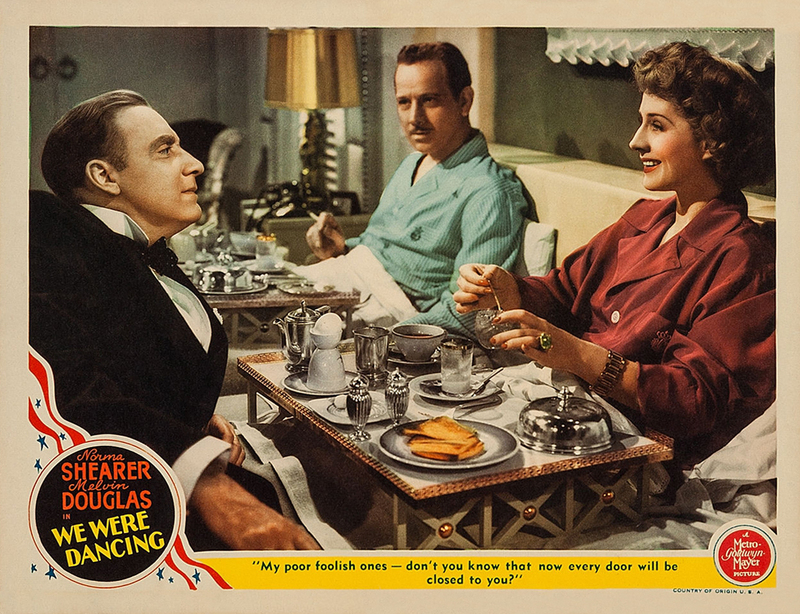 WE WERE DANCING was Norma Shearer's penultimate film; she retired from the screen after the release of HER CARDBOARD LOVER (1942). WE WERE DANCING was based on the Noel Coward play TONIGHT AT 8:30; over a decade before Shearer had starred in another Coward story, PRIVATE LIVES (1931). 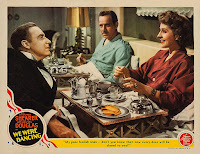 WE WERE DANCING is a fairly goofy film which sometimes has feet of lead when it should be floating; the arch dialogue is a little too self-consciously theatrical. That said, it's still a worthwhile 95 minutes due to the leads and the deep supporting cast; it was, as my daughter termed it, "strangely engrossing." 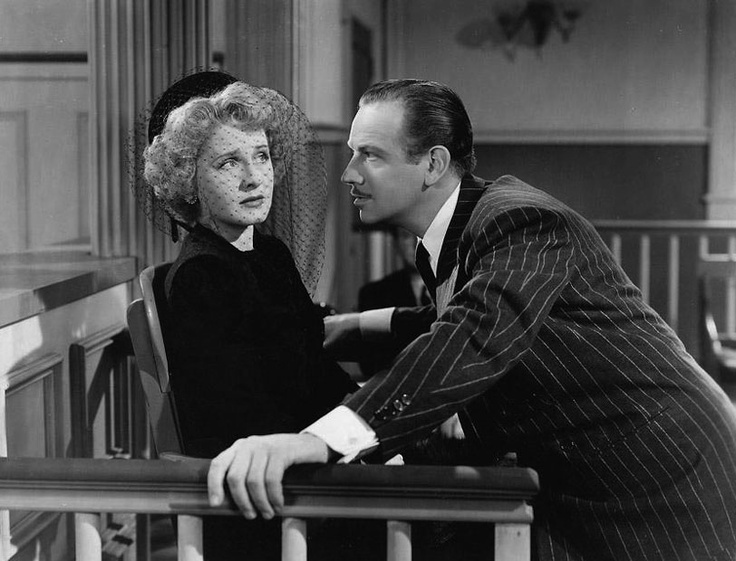 Shearer plays Vicki, an impoverished Polish princess who breaks her engagement to wealthy American lawyer Hubert Tyler (Lee Bowman) in order to elope with Baron Nicki Prax (Melvyn Douglas), who sweeps her off her feet with a dance on the eve of her planned wedding. Nicki, like Vicki, is a penniless aristocrat who's a "professional guest," lending his cachet to house parties of the wealthy in return for, in essence, room and board. Unfortunately, his marriage means he's no longer viewed as an eligible bachelor and his value on the house party circuit turns to nothing. If Nicki and Vicki are to survive, he might even have to get...a job! Shearer and Douglas are fun in this, if a little too one note, though there's a marvelous scene where they both start crying; that moment is good in part because there's some genuine emotion under the frivolity. This being a comedy, there's no attempt to give their characters any depth, but their MGM glamour goes a long way to hold viewer interest. There are so many great faces in this movie, starting with favorite Gail Patrick in her patented "other woman" role. It's a pleasure every time Patrick walks in the door; she combines delicious comedic timing and wicked intelligence with beauty, including her lovely dark hair. Bowman is also a personal favorite who has what might be called the "Ralph Bellamy role" in this film. This is the kind of movie where the mere entrance of Marjorie Main as a judge serves as a joke punchline, causing extended laughter. She's a delight right down to her last line. The cast also includes Connie Gilchrist, Alan Mowbray, Reginald Owen, Nella Walker, Florence Bates, Norma Varden, Thurston Hall, Pierre Watkin, and Dorothy Morris. 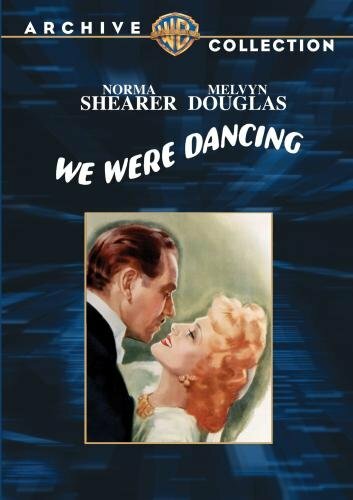 WE WERE DANCING was directed by Robert Z. Leonard and filmed in black and white by Robert Planck. The Warner Archive DVD is for the most part an excellent, crisp print. There are a couple of scenes with some noticeable lines but for the most part it looks very good, with excellent sound. Fans of the actors should be pleased. 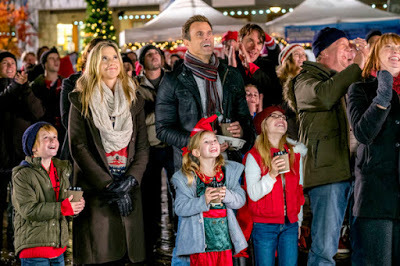 Hallmark Channel Christmas movies have become a ratings juggernaut and an annual TV tradition, with a whopping three dozen new Christmas films debuting this year on Hallmark Channel and its sister channel, Hallmark Movies & Mysteries. Last year's A CHRISTMAS TO REMEMBER (2016) is a great example of why the movies are so popular. 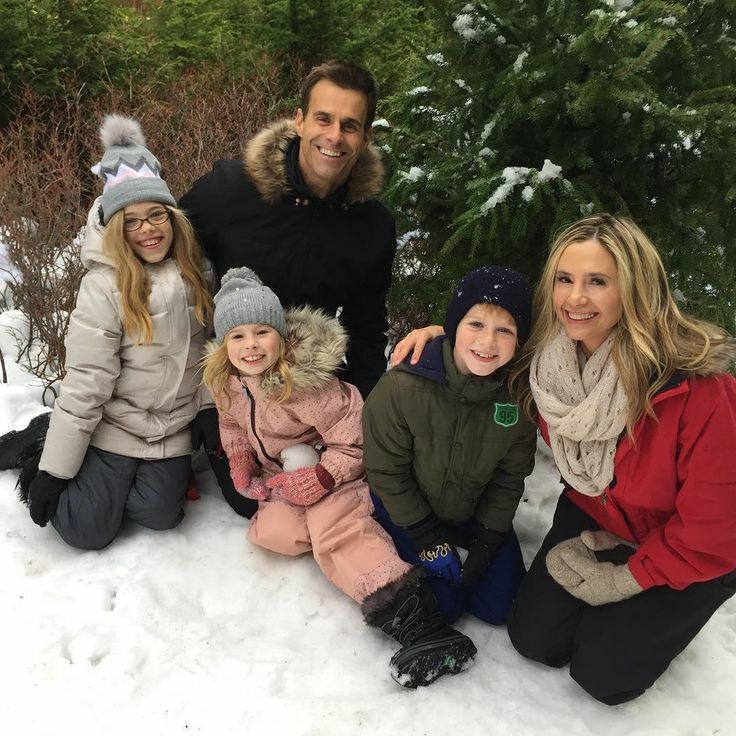 It's from Hallmark Movies & Mysteries Channel, starring Cameron Mathison and Oscar-winning actress Mira Sorvino. 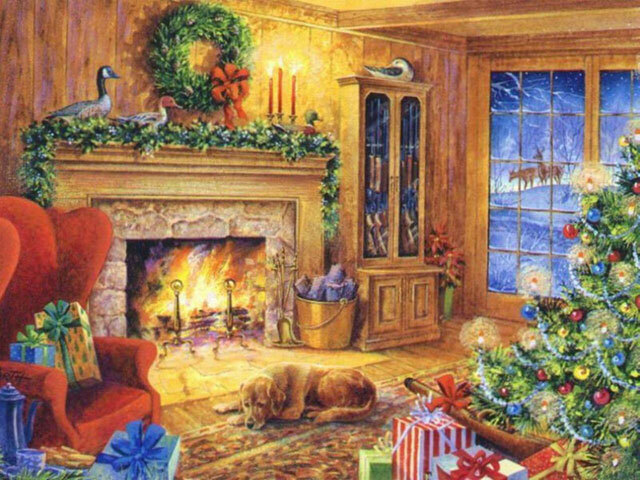 Sorvino plays Jennifer Wade, a high-strung New York-based cooking and lifestyle TV host who accepts a friend's (Brenda Crichlow) offer of a place to stay for a Christmas vacation in Colorado. Shortly after arriving in Colorado Jennifer crashes her rental car off the road in a snowstorm; she struggles back to the highway where she's picked up by a handsome widowed veterinarian, John Blake (Mathison). Jennifer has lost her memory, and the snow soon covers up the car so no one has any idea of her identity. While she recovers and the sheriff tracks down her identity, Jennifer ends up spending several days with John and his three young children. One of the amusing plot points is that Jennifer is instinctively a great cook but she has no idea why! Jennifer connects strongly with John and his entire family as she gradually recovers her memory, and it's a safe bet no one is going to want her to leave once she remembers who she is. The movie starts off on a somewhat false note, with Sorvino's character briefly too manic and unlikeable, although I assume this is to provide a contrast with the beneficial effects of Christmas in Colorado with the Blakes. Once Jennifer -- dubbed Maggie until she remembers her name -- is staying with the Blakes, the movie fires successfully on all cylinders. It's a cozy "feel good" film filled with likeable characters, and Sorvino brings some genuine poignance to the role as she regains touching memories of childhood Christmases with her mother. Mathison (of Hallmark's MURDER, SHE BAKED mystery series) is also appealing as a man who's experienced fairly recent loss and is attempting to move forward for his children. Particular kudos go to Wendy Abbott as the grandmother who welcomes Jennifer with open arms. It all builds to an ending which is pretty much perfect. 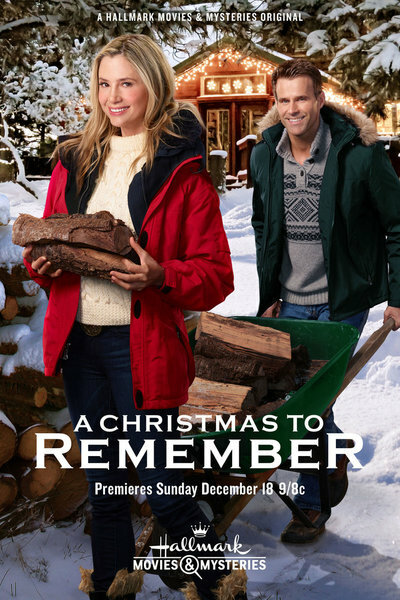 If you're going to watch a Hallmark Christmas movie, you can't go wrong with this one. It's also available as a "manufactured on demand" DVD or as a digital purchase. A CHRISTMAS TO REMEMBER was directed by David Weaver. It was filmed by Paul Mitchnick on location, with British Columbia standing in for Colorado. The supporting cast includes Ona Grauer and Steve Bacic, who appears in Hallmark's GARAGE SALE MYSTERIES. A preview is currently available on YouTube. 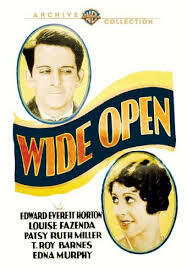 Edward Everett Horton has a rare leading man role starring in the comedy WIDE OPEN (1930), recently released on DVD by the Warner Archive. Horton plays Simon, a worker bee toiling at a phonograph company. He's abused by some of his fellow coworkers while also putting up with the pursuit of marriage-minded Agatha (Louise Fazenda), in whom he has no interest. 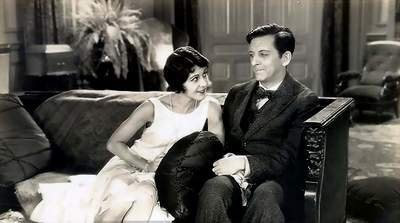 Then one evening Simon finds a mysterious young lady (Patsy Ruth Miller) hiding in his home, and his life is turned upside-down, ultimately for the better. This is a fairly creaky pre-Code, and let's face it, Edward Everett Horton isn't anyone's idea of a leading man, even back in 1930. (That said, his strong performance opposite Arline Judge in 1933's ROAR OF THE DRAGON is the exception that proves the rule.) 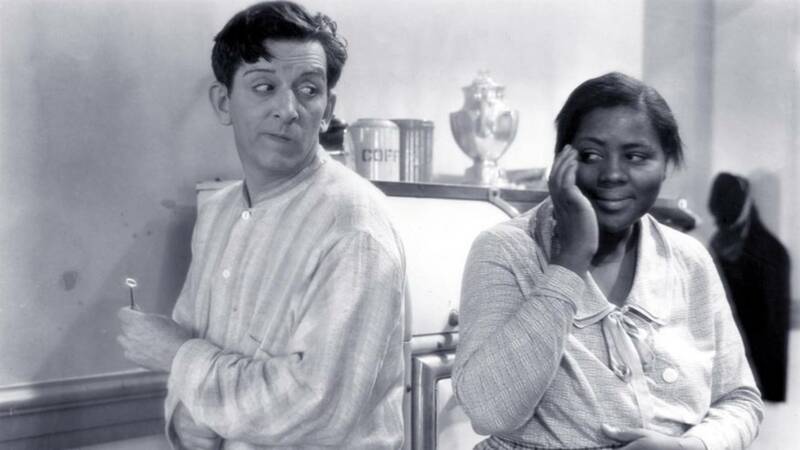 The film moseys along, especially at the outset, but is made watchable by its short 69-minute run time and the performances of Miller and Louise Beavers, who plays Simon's maid. Miller is a real charmer who brings energy to her every scene; at the end she even makes you believe she wants to marry the "sweet" Horton. In a way it's a shame that her character's motivations are left unknown until the last scene of the film, as it would have been helpful to have more insight into who she was as the movie went along. I really enjoyed her and would like to see more of her performances, which include THE HUNCHBACK OF NOTRE DAME (1923). 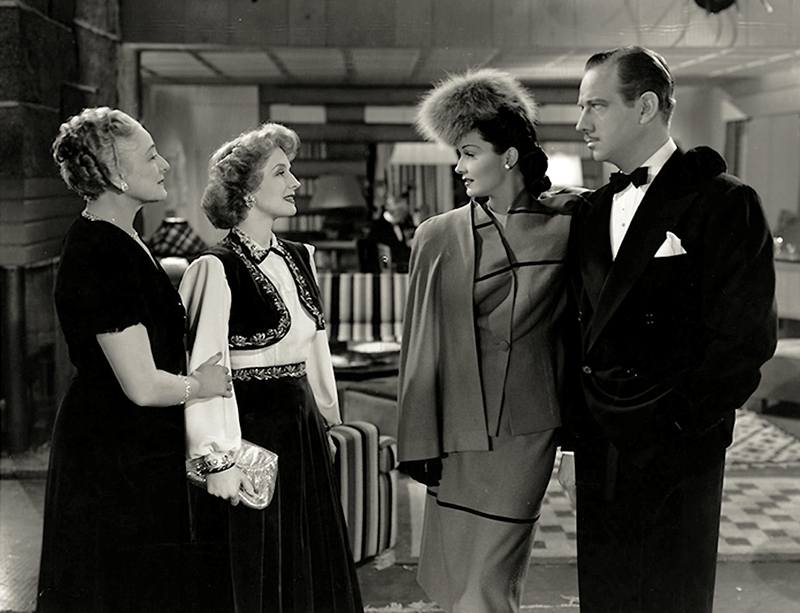 Beavers is always wonderful, and particularly beloved to me for HOLIDAY INN (1942) a dozen years later. Her reactions to the incomprehensible new goings-on in her formerly staid empoyer's home are delightful. Beavers could always be counted on to bring an extra "something" to a movie. Overall it's a pretty weak movie, but even an iffy film has its rewards -- here introducing me to Miller and providing another wonderful character role for Beavers. WIDE OPEN was directed by Archie Mayo and filmed by Ben Reynolds. The Warner Archive DVD print has an "old" look to it, with a slightly soft picture and sound, but for an early talkie overall it's in good shape. There are no extras. 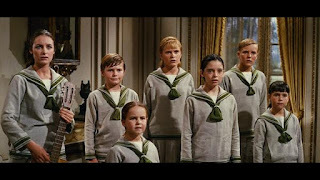 Sad news arrived on Christmas, particularly for those of us who love THE SOUND OF MUSIC (1965): Actress Heather Menzies passed away on Christmas Eve. She was 68. 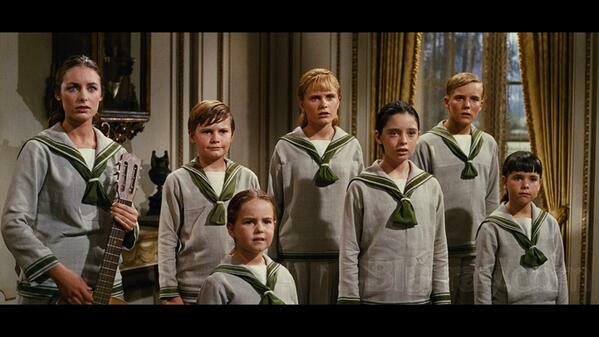 Menzies, who played second daughter Louisa in THE SOUND OF MUSIC, had recently been diagnosed with brain cancer. 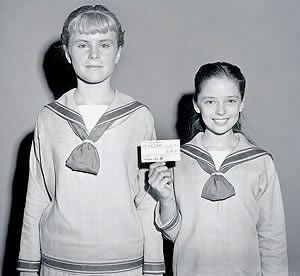 Her loss comes just over a year after the September 2016 passing of Charmian Carr, who played eldest child Liesl. 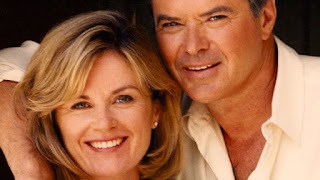 Menzies was the widow of actor Robert Urich, who died of the rare cancer sarcoma in 2002. The couple established the Robert Urich Foundation for sarcoma research and to help support cancer patients. 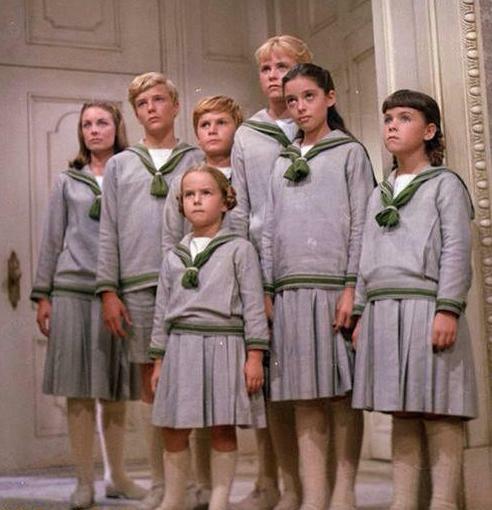 Kym Karath, who played youngest child Gretl Von Trapp, Tweeted "I am filled with infinite sadness tonight. 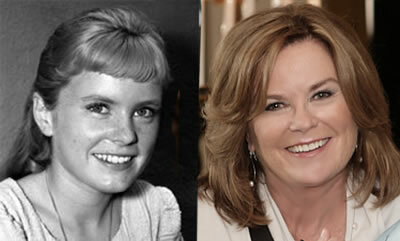 My precious friend and SOM sister Heather Menzies passed away this evening. Devastated." 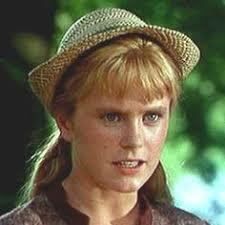 Nicholas Hammond (Friedrich) Tweeted "We loved our dear sister Heather very much." Ted Chapin of the Rodgers & Hammerstein Organization also released a statement which said in part: "We at Rodgers & Hammerstein mourn the passing of Heather Menzies-Urich. Heather was part of 'the family.' There is really no other way to describe the members of the cast...We are all lucky to have known her, and she will happily live on in that beautiful movie. We will miss her." 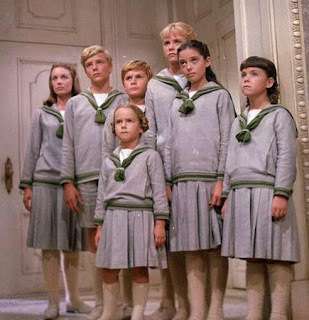 Menzies' career included a number of other films, including a small role in HAWAII (1966) with SOUND OF MUSIC costar Julie Andrews, and the short-lived TV series LOGAN'S RUN (1977-78) with Gregory Harrison. She is survived by a son, two daughters (including a 19-year-old), and several grandchildren. 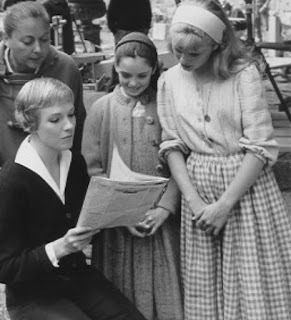 Over the years I've seen many special actors pass from this life, but I find that those actors who were first special to me in my childhood hit the hardest, like Carrie Fisher, Charmian Carr...and Heather. I post this with love and thanks for her contribution to a film which has been such a joyous part of my life, and send sincere condolences to her family and friends. 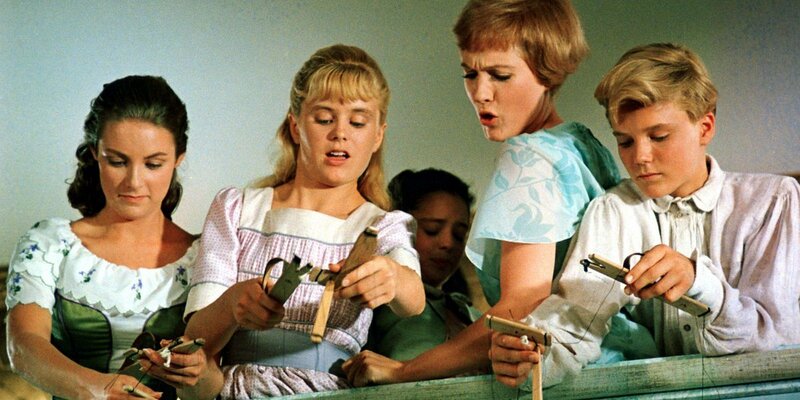 Update: Angela Cartwright, who is seen with Heather in some of the set photos above, has now posted a tribute to her SOUND OF MUSIC sister on Instagram. The STAR WARS saga continues in Episode VIII, THE LAST JEDI (2017). The newer films are quite good yet don't have the indefinable magic of the three original films, particularly THE EMPIRE STRIKES BACK (1980), which I consider one of the best movies ever made. It's everything a movie should be and more. So, THE LAST JEDI. I found it had some substantial flaws, yet at the same time it was a solid film which I'm still contemplating days later. Given how many films I see in a year, I give a lot of credit to a film which causes me to spend that much time thinking about it and analyzing it. Following the cycle of the first three films, as the second film of the new trilogy begins the Rebels are falling back, at a desperate moment in the battle against the First Order. 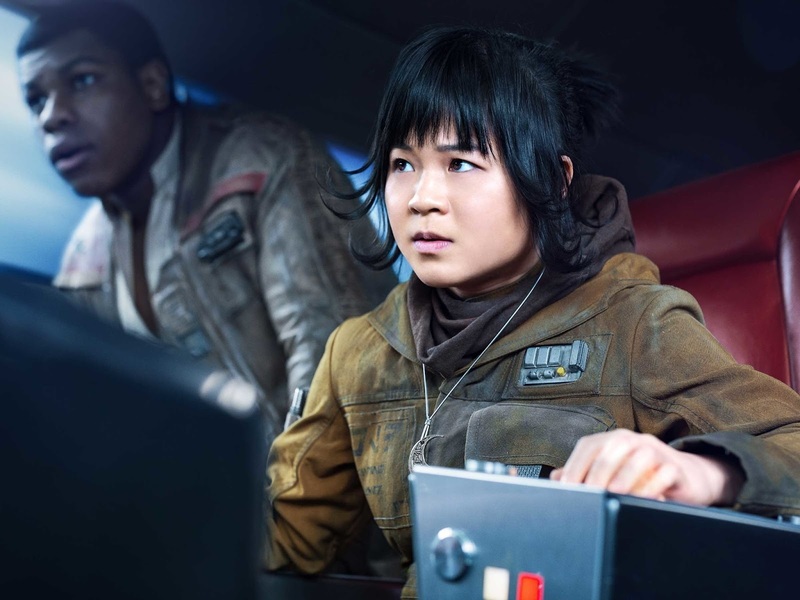 Leia (Carrie Fisher), Poe (Oscar Isaac), and Finn (John Boyega) are among the Rebels fighting for survival as they attempt to escape and regroup. 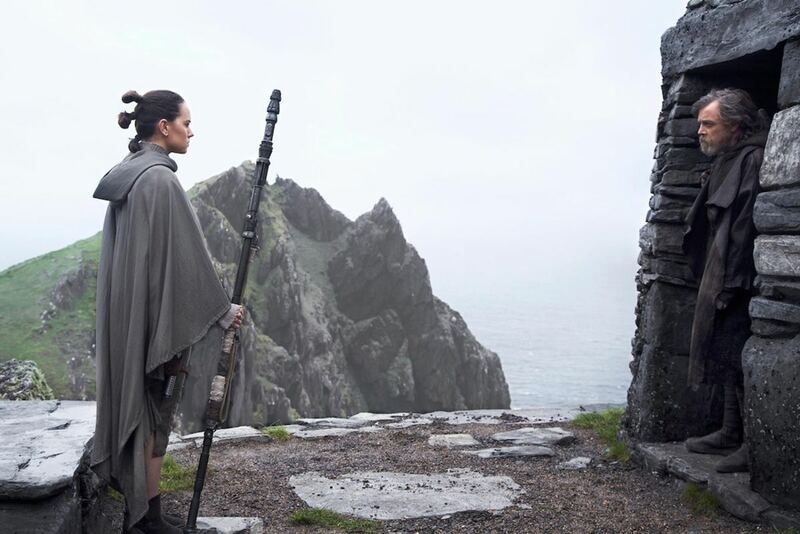 Rey (Daisy Ridley) meanwhile, is where we left her at the end of THE FORCE AWAKENS, attempting to get help from Leia's brother, Luke Skywalker (Mark Hamill). Luke lives a hermit-like existence, much as Obi-Wan (Alec Guinness) did in the original STAR WARS. Rey is also developing her Jedi powers and feeling a strange pull across the miles from Leia and Han Solo's errant son Ben (Adam Driver), aka Kylo Ren, who continues as a member of the First Order. I'll leave the plot there as anyone interested will either have seen it by now or want to be surprised when they do watch it! Things I liked: Ridley's Rey is a more than worthy STAR WARS heroine, compelling and admirable at every turn. It's also heartwarming to see her relationship with Chewie developing, reminiscent of a young Leia and Chewie; with Han gone and Rey an orphan (as far as we know), they fill a void in each other's lives. There's some wonderfully iconic imagery (photographed by Steve Yedlin), again chiefly involving Rey; a light saber battle in the middle act called to mind Luke's battle with Darth Vader near the end of EMPIRE, though the set design was a different color. The action and visuals were extremely compelling. I felt that we got more of Williams' original themes than in THE FORCE AWAKENS, which probably makes sense given that Luke is involved this time around. That aspect alone made me quite happy, as for me the music might be the most key ingredient which makes STAR WARS what it is. I was also glad to see the character of Lt. Connix expanded in this film; she's played by Fisher's real-life daughter, Billie Lourd, whose hairstyle is a scaled-back tribute to Leia's (in)famous hairstyle of the original STAR WARS (aka A NEW HOPE). At the time THE LAST JEDI was made no one had any idea it would be Fisher's last STAR WARS film, and the presence of Lourd's character will provide a nice sense of continuity next time around. In fact, one senses this film was a goodbye to the past on multiple levels...the final film of the trilogy will be focused on the next generation. 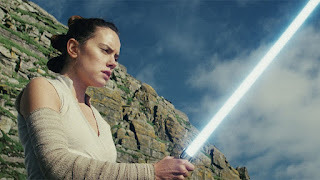 As I see it, THE LAST JEDI has three main flaws, all related to the writing; the screenplay was cowritten by George Lucas and director Rian Johnson. 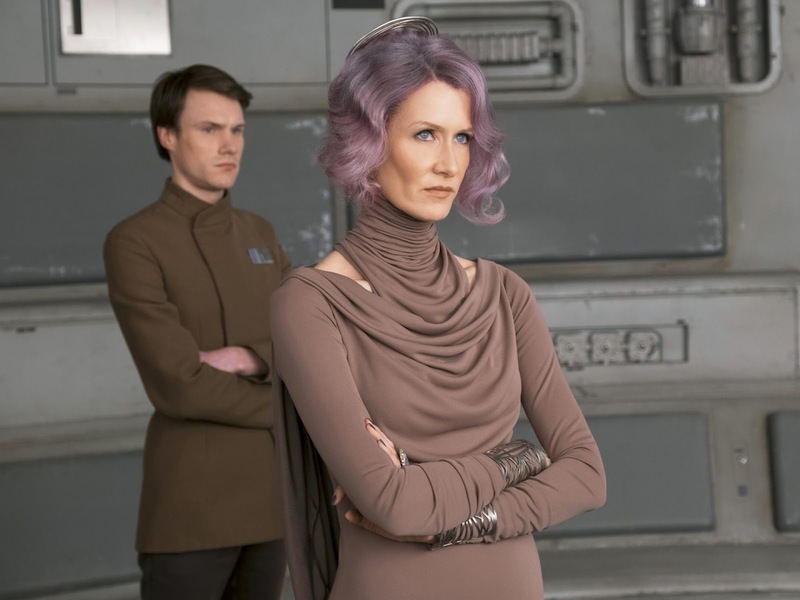 Secondly, Laura Dern's Vice Admiral Holdo is parachuted into the film and we're expected to immediately trust her, when the audience has no connection with her; honestly, though she was among the Rebels, her annoyingly smarmy attitude was such that I wondered if she were a First Order double agent. 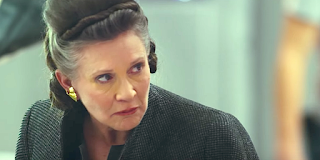 I've read commentary from some that her character reflects women's workplace struggles, having to fight for respect to get the job done, but I can't agree with that; after all, Leia is the head of the entire Rebellion, honored and respected by everyone. The audience can't be expected to simply trust a new commanding character who appears out of the blue. 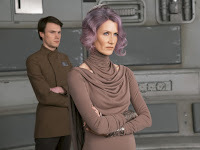 Holdo only proves her worth in her final minutes in the film, which is a shame. And then there's Hamill's embittered Luke, who is not really the Luke Skywalker we all know and love. We would expect him to be weathered by a lifetime of difficult experiences, but not this different. Indeed, Hamill himself was troubled, and has volunteered the thought that "He's not my Luke Skywalker." 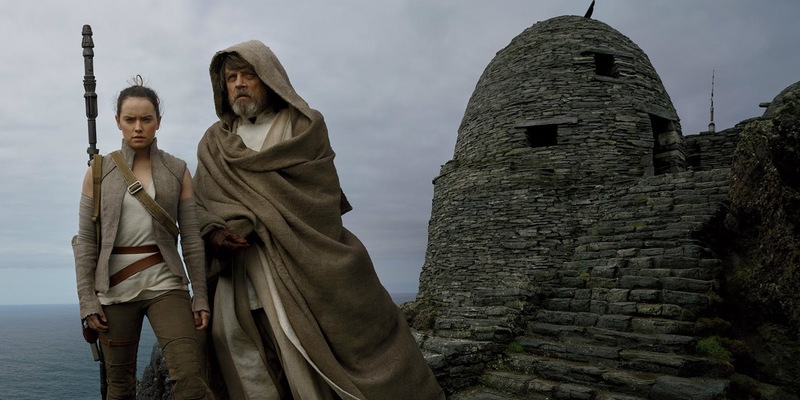 I'll leave it at that but there were a couple of startling moments which made me uncomfortable, and I wish the filmmakers had found a way to convey all Luke has been through without having his personality be so radically different. Despite that disappointment, when Luke and Leia finally reunite (or do they? I was left confused...) it's a powerfully moving moment for those of us who have loved the characters for the past four decades (gulp). All in all, an imperfect yet simultaneously worthwhile film. It's going to be interesting to see where the next installment takes us. 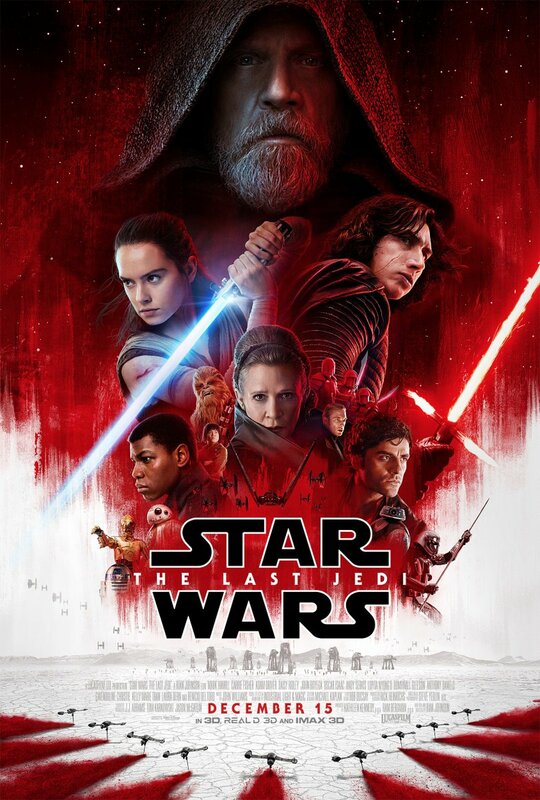 Parental Advisory: STAR WARS: THE LAST JEDI is rated PG-13. It's STAR WARS, just about what anyone who knows the films would expect, with many light saber and space battles. Trailers and more are available at the Official Star Wars Website. 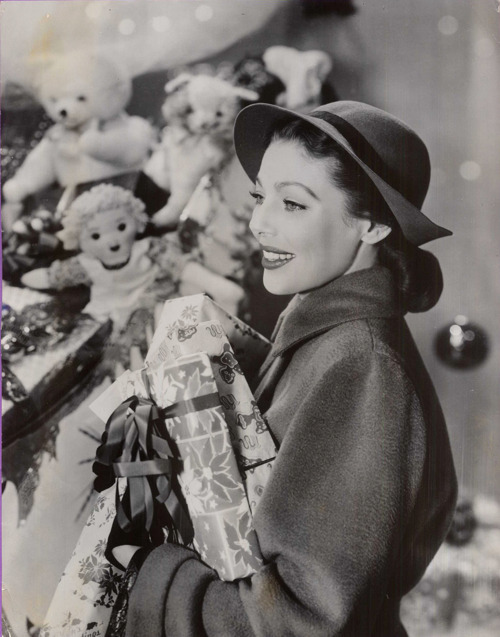 Above is a publicity shot of lovely Loretta Young in the Christmastime favorite THE BISHOP'S WIFE (1947). Previous Christmas Day photo posts: 2012 (the Lockhart Family), 2013 (Priscilla Lane), 2014 (Martha Hyer), 2015 (Andra Martin), and 2016 (Betty Grable).